The countywide transit operator in San Mateo County, SamTrans, recognized a need for more mobility options for older people. Nelson\Nygaard facilitated a multi-year process (involving multiple cities, community organizations, the County of San Mateo, and SamTrans) to develop a consensus Action Plan to improve senior transportation services. The Plan is multimodal, embracing conventional transit, community transit, walking, volunteer transportation, and driving. 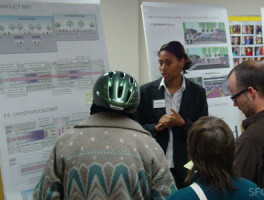 Following the initial planning process, Nelson\Nygaard helped implement and obtain funding for various projects, including winning New Freedom grants. We created a Senior Mobility Guide to help older people locate resources in the community and a Mobility Ambassador program to connect volunteers with older adults and people with disabilities by organizing group transit trips, conducting classes, and providing one-on-one assistance with transportation issues. We designed a fleet-sharing pilot program to allow cities and community organizations to share vehicles and developed an online tool, peninsularides.com, that allows a user to locate appropriate services based on an individual’s location, abilities, travel needs, program eligibility, and other factors. A growing population of older people who have been used to driving needed mobility options in San Mateo County. 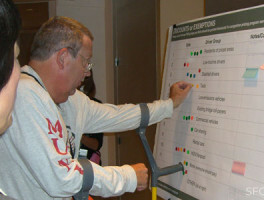 Conceived a Mobility Ambassador program to help older people solve their transportation issues. Created a Senior Mobility Guide to help people locate resources in the community and a Community Transit Planning and Funding Guidebook to help cities provide those services. Developed an online tool that allows a user to locate appropriate transportation services. The Senior Mobility Guide is in its sixth edition and is available in English, Spanish, and Chinese as well as online. Mobility Ambassadors are organizing group transit trips, conducting classes, and providing one-on-one assistance with transportation issues. The Community Transit Planning and Funding Guidebook helps the 21 cities within San Mateo County develop effective shuttles and circulators that complement the countywide transit system and ADA paratransit services. 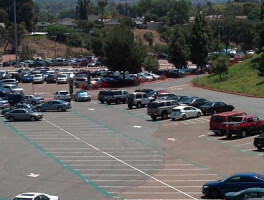 Share the post "San Mateo Senior Mobility Initiative"